Bottom Line: Walt Disney Animated Studios had a pretty massive year as both Zootopia and Moana are arguably the best films the studio has produced since Tarzan all the way back in 1999 (Note: Walt Disney Animated Studios and Pixar are NOT the same company). Moana is a spectacular blend of Polynesian mythology and coming-of-age story thanks to a large team of writers collaborating on a great script with amazing songwriting contributions from famed Hamilton playwright Lin-Manual Miranda. Miranda’s work here cannot be understated: I was singing the songs from Moana for days after watching the movie and immediately added the soundtrack to my Apple Music library. Miranda has proven that he is a master songwriter and a true genius and I am actually quite sad that he didn’t win an Oscar for “How Far I’ll Go.” He even makes Dwayne Johnson sound good! 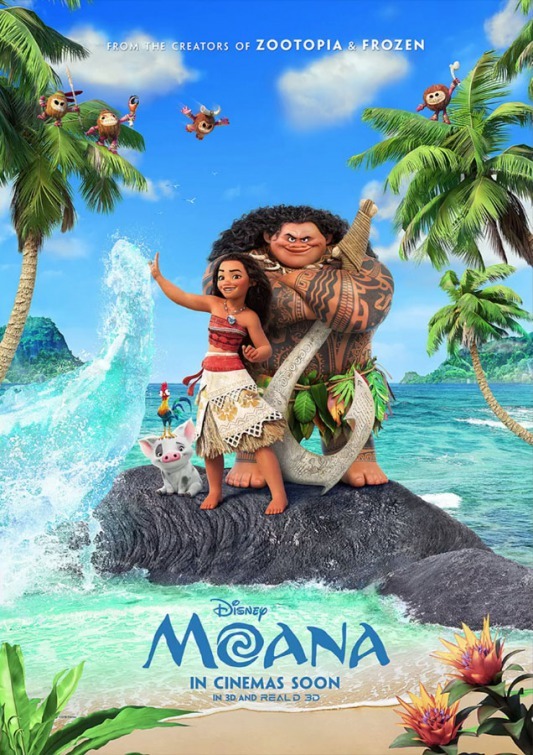 Infused with a smart, funny script seeped with mythology, memorable characters, solid vocal performances from Cravalho and Johnson, and unforgettable songs, Moana continues Disney’s best run of animated features since the early-to-mid 90s. Replay Value: This is one of my favorite recent Disney movies. I’d be happy to watch it again today and it will be a must own when we have kids. Sequel Potential: A theatrical sequel for a Disney animated film used to be unheard of: Winnie The Pooh and The Rescuers are the only Disney originals that got sequels in theaters. Tradition seems to be changing, however, as recent Disney films Wreck-It Ralph and Frozen both have sequels scheduled for theatrical release in the next two years. Straight-to-video sequels are common for Disney, so it will be interesting to see what happens with Moana. Oscar Potential: Nominated for Best Animated Feature and Best Song, but lost to Zootopia and La La Land, respectively.